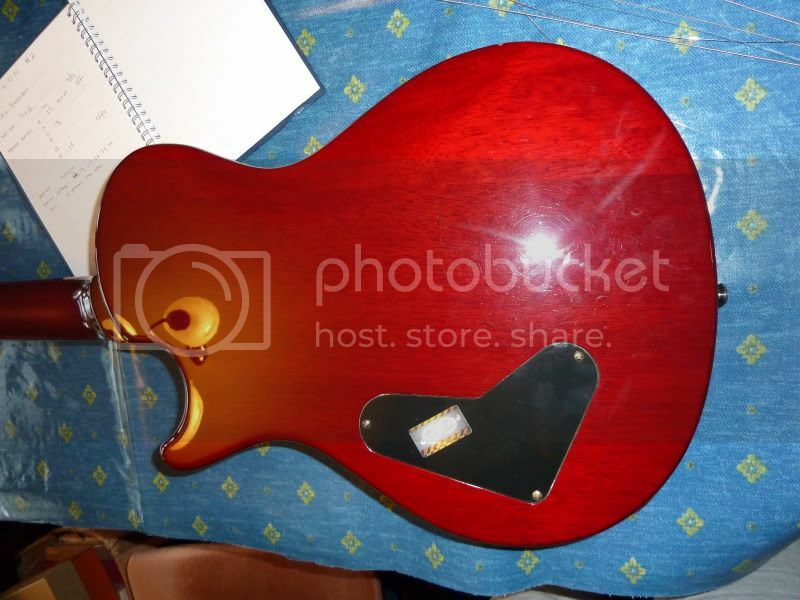 Discussion in 'Electric Instruments' started by slev, Apr 26, 2012. What have you guys done to your favorite SE? 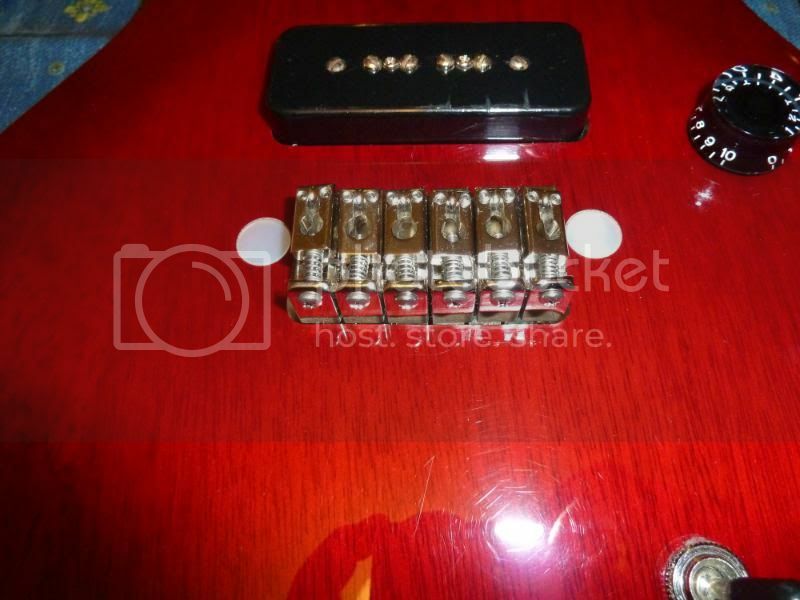 I've got Dragon IIs in my SE Custom Semi-hollow that may be coming out for some Starla pickups, not sure yet. Anyone upgraded their tuners? What type? 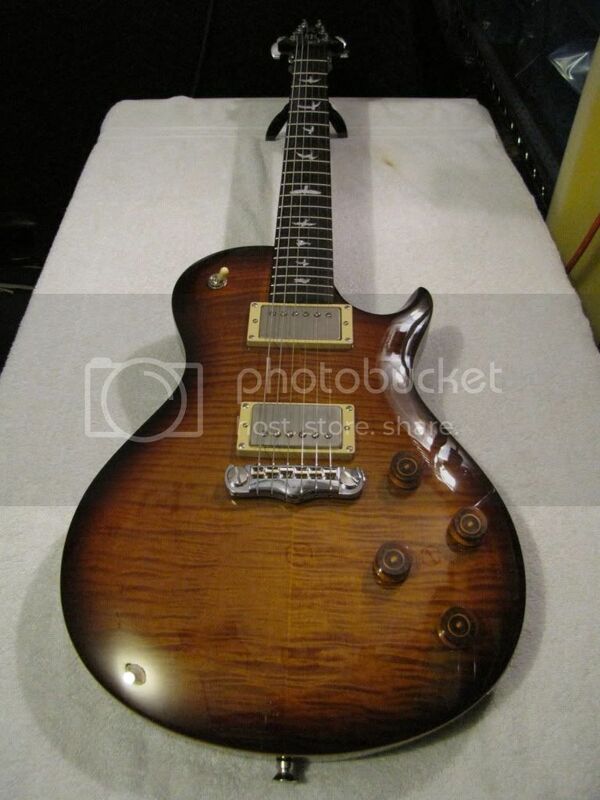 I have a PRS US nut on my PRS SE EG as well as Starla pups in her. 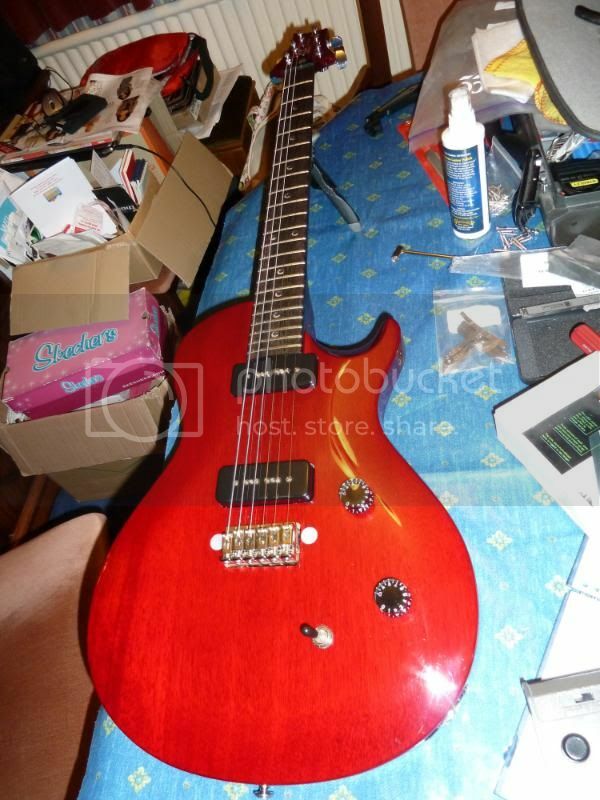 I have Phase II locking tuners on it as well. I have put a Tusq nut on my BMSE an will be experimenting with RP pups, then a 5909 in the bridge...fun fun fun. How do you like the Starla pups? How do they compare to Dragon IIs? Swapped out the pickups for TV Jones Classics and changed out the pots, cap and wiring with a RS Kit in my Bigsby equipped Silver Sparkle Semi Hollow SE. Hans, that looks cool as hell! Don't suppose you could point out what some of the changes were such as what the new bridge is? Now that's an SE Mod! Love the neck and did you move the tone and volume pots? I did. In fact if you look at both pics of the top you'll notice that I moved them twice. In the first iteration, the two pots were too close to one another. 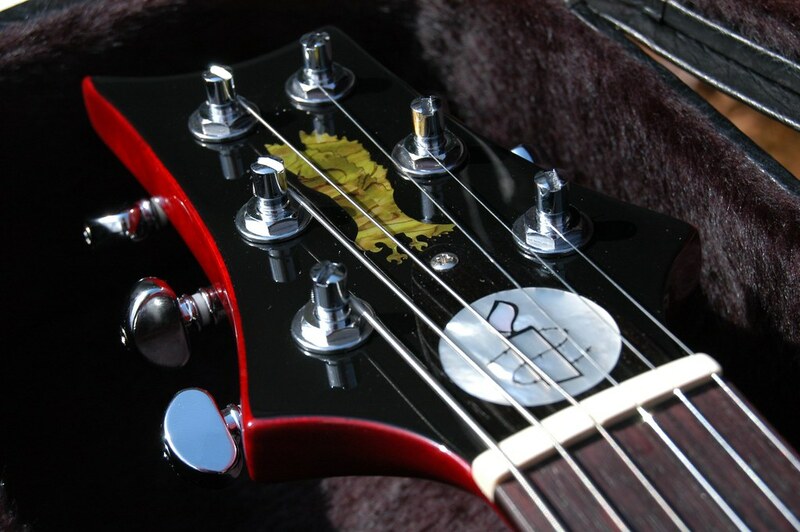 The pickup is the legendary (at least in my head) PRS Deep Dish 2. Of the 4 PRS SE guitars in my hands... two have mods... both new pups. On the Tremonti SE I have a set of McCarty pups. 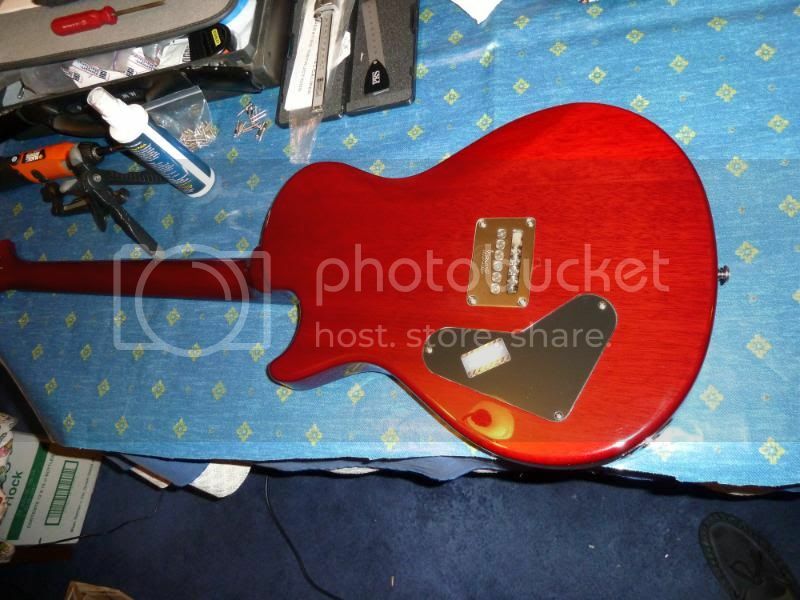 This was a huge change in this guitar... it's now much more of a blues/rock machine rather than a rock machine. That's good for the material I'm doing now. The clean neck pup is so sweet, the other members of my jazz combo complain when I don't bring it... even over my DGT. I also picked up a used SE Custom Semi-hollow soapbar that was modified by the previous owner. He put in a set of Fralin noiseless P-90 pups and that guitar really SINGS! 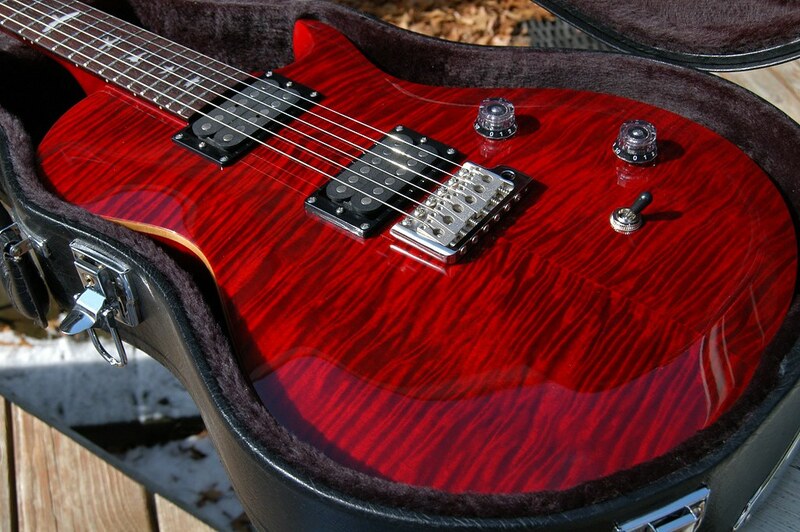 It's become another favorite and competes for playing time with my US PRS and other guitars. I have two "un-modded" PRS SE's... a singlecut trem, and a singlecut soapbar. Neither one is really crying out for a mod... both are very fun as is... and still great sounding. If I'm buying a less expensive guitar like a PRS SE I'm basically thinking about the mods I'm going to do to it the moment I pay for it. But I have to say this, my 03 Santana SE, I returned to stock in order to sell it to fund another purchase. Nobody bought it. 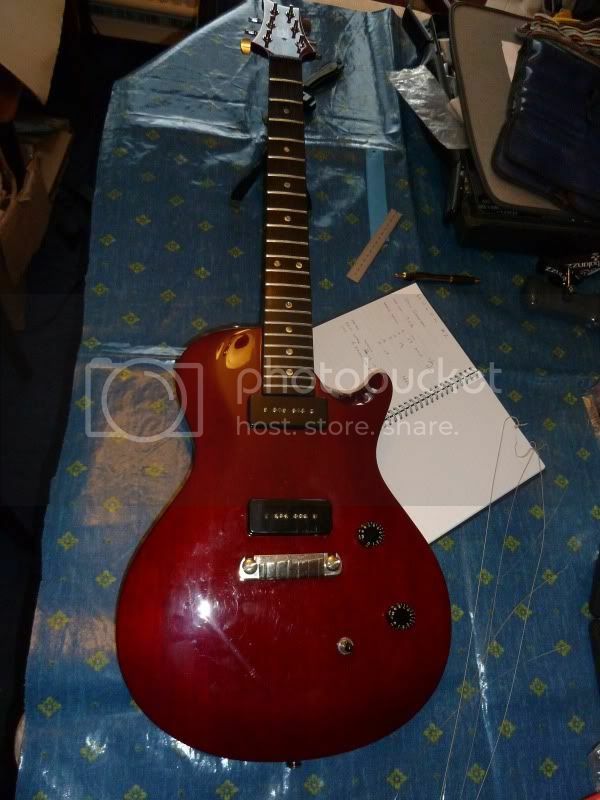 I'm really happy nobody bought it, because factory stock, with the exception of a replacement volume pot, it's just a great guitar all around. It plays amazingly. If you blindfolded me and put the neck of my favorite guitar ever, my 05 Custom 22 in my left hand, then put this Santana SE in my left hand, and asked me based on feel which was which, I honestly couldn't tell you. The neck carves and low action are virtually identical. The stock pickups are clear and have the right amount of output for my tastes. It's super light weight and I like the neck binding and pickguard. Bare Knuckle matched set "The Mule"
grind and Ken Han like this. Looks like a lot of you replaced the nut. I've been relatively happy with the stock nut on the SEs that I've owned. What was the the driver for changing the nut? Also, have a chance to put McCarty's in my Semi-hollow. Any thoughts on the potential tone that would give me? Locking tuners, petrified woolly mammoth tusk nut, TRC. 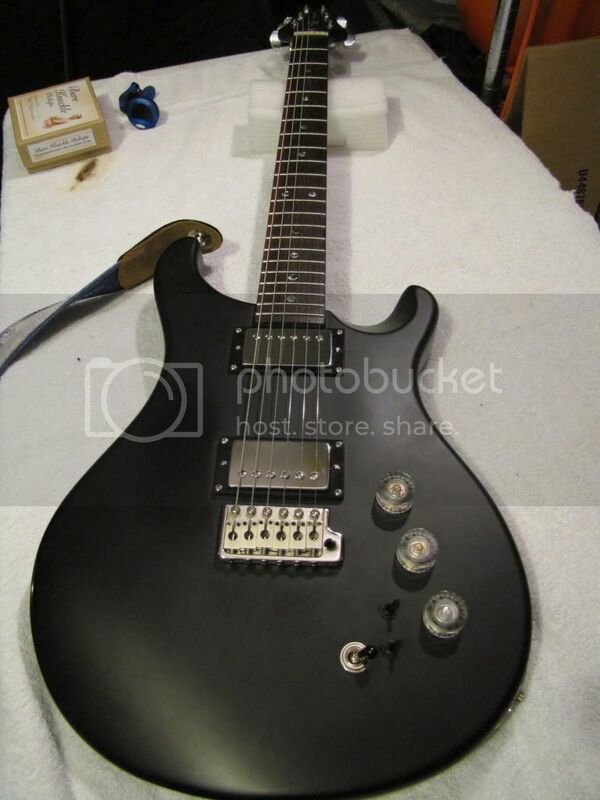 Clear/Black lampshades, Anderson H1/H3 pickups, coil taps. d1backwoods, grausch, grind and 1 other person like this. As my buddy Evil Mike is not a member over here yet, I'll post this one that I whacked for him. matt3310, grausch, grind and 1 other person like this.